Louisiana Tech’s Houston Bates had a career day against his former team – his 4 1-2 sacks in the Heart of Dallas Bowl matched the number he had in three seasons at Illinois. “It wasn’t Houston Bates vs. Illinois. 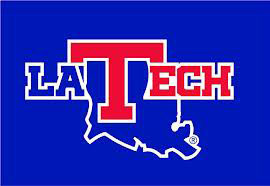 It was Louisiana Tech vs. Illinois,” Bates said. Kenneth Dixon scored one of his two touchdowns on an 80-yard reception and Xavier Woods scored on a 69-yard interception. The Bulldogs (9-5) also got touchdown runs of 16 yards from Jarred Craft and 28 yards from Blake Martin on a dark, overcast day at the Cotton Bowl stadium. Illinois (6-7) struggled early with penalties and missed field goals, but got within three points on David Reisner’s 43-yard field goal early in the fourth quarters. But Dixon scored his second TD from one yard out with six minutes left to make it 28-18 and the Illini couldn’t answer. Illinois appeared to have gotten a break when LaKeith Walls sacked Cody Sokol, causing him to fumble. Jihad Ward returned it 19 yards before Dixon forced a fumble and Sokol recovered. That drive was capped by Dixon’s TD. Tech coach Skip Holtz then asked Bates to skip the humble answer and say what it really meant to him to win. “Unbelievable,” Bates added with a huge smile. Bates had an additional sack in the closing minutes negated when a teammate couldn’t get off the field in time and the Bulldogs were penalized for having 12 players on the field. Dixon became Louisiana Tech’s career leader in yards rushing, finishing with 63 for a total of 3,410 in three seasons. He is also the only FBS player with both a run and a reception of at least 80 yards this season. Louisiana Tech went into the game tied for first place among FBS schools with 25 interceptions and first with 40 total turnovers forced. With Monday’s two Illini turnovers, Tech converted turnovers into 198 points this season. Tech led 21-9 lead at halftime after Reilly O’Toole’s pass was returned for a touchdown by Woods midway through the second, but Illinois responded with a 3-yard scoring run by Donovonn Young. The 2-point conversion failed, though, but Reisner banked in a field goal to cut the Bulldogs’ lead to 3. O’Toole threw a 25-yard touchdown pass to Jon Davis early in the second quarter. He was 24 of 39 for a season-high 295 yards with one touchdown and one interception. Taylor Zalewski kicked a 27-yard FG in the first quarter for Illinois, which committed eight first-half penalties for 53 yards and missed two field goals attempts and an extra point. Sokol, who began his collegiate career in the Big Ten at Iowa, completed 14 of 28 passes for 247 yards and one touchdown. On Woods’ interception, the pass was thrown ahead of Dudek, whose uniform appeared to be held by Tech’s Bryson Abraham just before Woods made the grab.